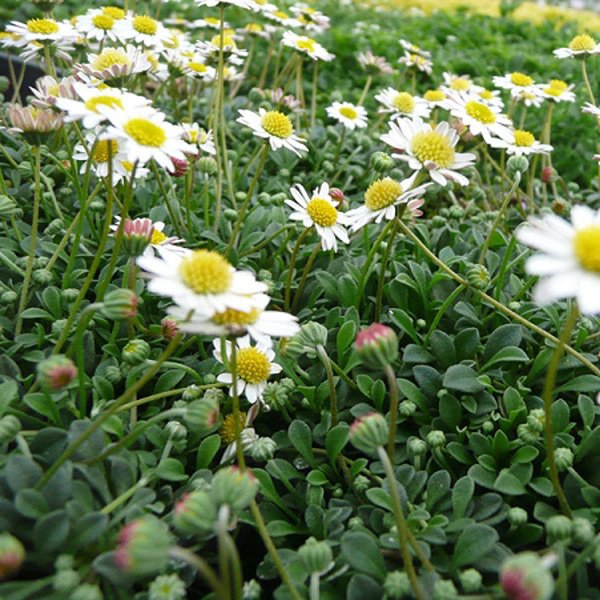 This forms a flat carpet of small light-green leaves, bearing a long display of tiny white daisies beginning in late spring. Evergreen in mild winter regions. In colder zones this may act as a self-seeding annual. Use for edging or a small-area groundcover. Also excellent for growing in alpine containers or troughs. Needs evenly moist soil. Not a good choice for regions with hot and humid summers. Will tolerate moderate foot traffic once established. An excellent choice for growing between patio or pathway paving stones. 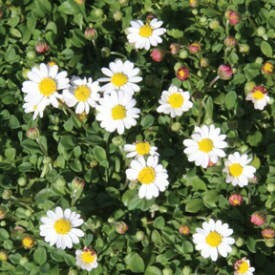 An excellent choice for growing between patio or pathway paving stones.